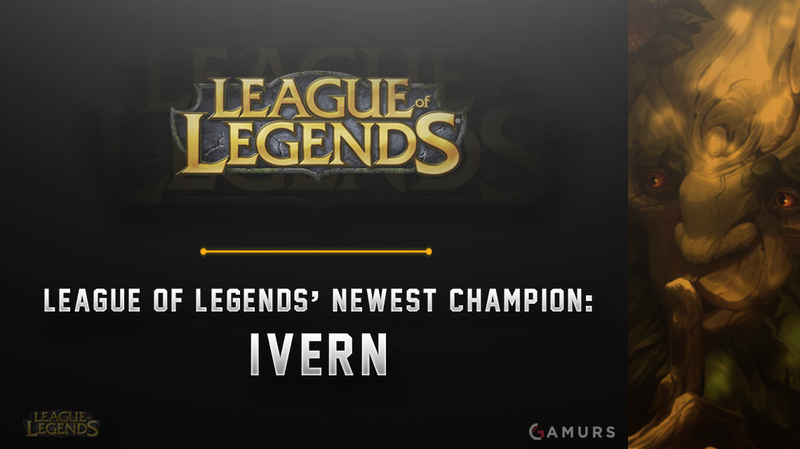 League of Legends released a video earlier today, giving us our first look at their newest champion: Ivern. Earlier today, theofficial League of Legends YouTubechannel released ateaser video for the newest champion Riot Games is adding to the game. In the teaser video, the newchampion is introduced as “Ivern: Friend of theForest.” The video begins with a hunter attempting to hunt apack of wolf cubs sleeping. But, the hunter is unaware that Ivern,a friendly tree-being, is there to protect these wolfcubs. Ivern snags the hunter by usingnearby vines and mockingly silences him by saying“shhh,” while protecting the baby wolves from any harm.Other hunters appear in the distance, but Ivern uses his magicabilities to grow the grass around him and the puppies, keepingthem out of the other hunters’ sight. League of Legends already has asimilar champion in the game in terms of appearance, as Maokai isalso a tree-being, but it seems like Ivern is much more friendlycompared to Maokai. As of now, not much informationis known about this friendly tree, but it will be interesting tosee whether or not Ivern will be competitively-viable movingforward after the 2016 World Championships. What do you think about Ivern?What lane/role do you hope he is best suited for? Let us know bycommenting below or tweeting us @GAMURScom. Justin Binkowski is theManaging Editor for GAMURS and he can be contacted by emailat justin.b@gamurs.com or on Twitter @JBinkk.